Hello and welcome to exampundit.Here is our Weekly Rewind #1 for the week 19 June to 24 June, 2017. We originally started it in 2016 February, however due to many reasons, we could not continue that. 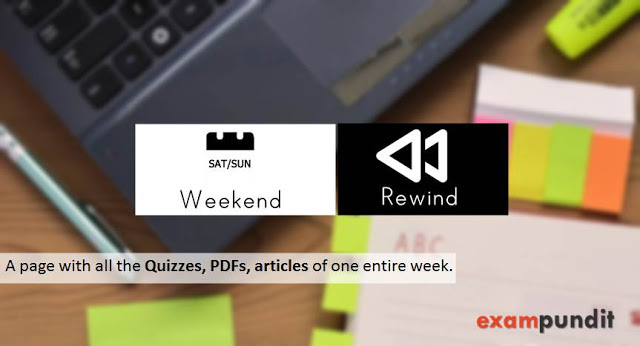 From now on, every weekend, we will arrange all the quizzes, articles, notifications and PDFs in one single page so you don’t miss out anything. This is specifically for those who stay busy the entire week and miss out on important stuffs.